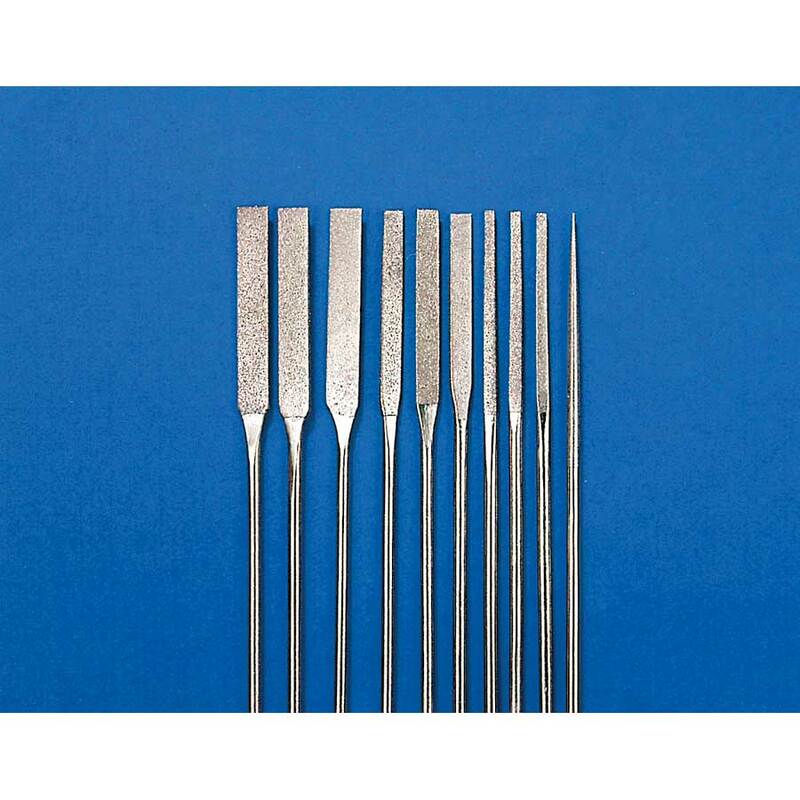 Tapered Diamond Needle File Set permits easy access to hard-to-reach locations. Includes 3 widths, each in extra fine, fine and medium grits, plus 1 pointed round fine-grit file. 5 inches long.